Samsung recommends the use of only Samsung–approved Batteries in conjunction with the charger & USB- cable supplied with your device. Unapproved batteries, chargers or cables made lead to damage to the battery, accessory or device. Please keep in mind to use only the Samsung-approved batteries. In addition for some models the battery includes the NFC (Near Field Communication) antenna. 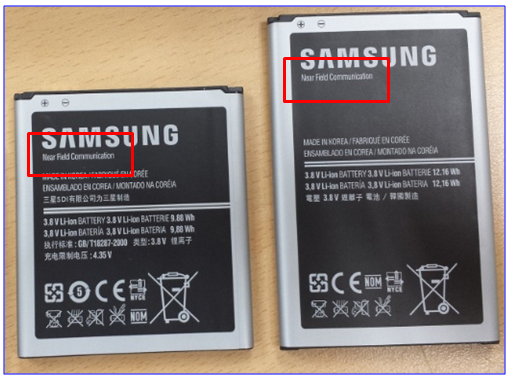 Using a non Samsung battery where the model in question relies on the battery to have the NFC antenna built in to the battery may also result in the NFC function of device being NON operational. Any damage caused by use of NON Samsung batteries is NOT covered by the warranty.